Do you suffer from diabetes? Do you struggle to lose weight? Do you have serious digestive problems, hormonal problems, chronic fatigue, heavy metal poising, a weak immune system – or any other disease? Are you suffering the side-effects of dangerous drugs? With 25 years experience as a Pharmacist, a Doctor in Nutrition, and a Complementary and Alternative Medicine Healthcare Practitioner, Dr James Liddell is an expert in integrating different disciplines of healthcare to ensure a holistic healthcare solution. 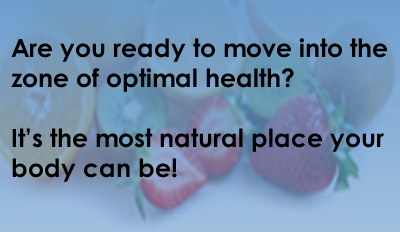 He can responsibly and caringly assist you to transform your life into the zone of optimal health. Every human being is born capable of reaching this zone – a place where the body functions as a smoothly integrated unit, in continual holistic harmony and at peak performance. The brain is programmed to heal the body. But this healing will only take place as long as the body is in a good nutritional state (no major trauma) and physically fit. The lesser the nutritional state and the more unfit, the more difficult it is to find healing. When the body is slow to heal, it is vital to identify the weakened organ and support it with natural medicine so that healing can take place at a quicker pace, while improving the nutritional and physical status as needed. Put plainly, natural medicine resonates with your body and chemical remedies do not. Whilst alive we consume food and water from the earth; when we die, we return to the earth. As the earth consists of all the plant and animal kingdoms, it’s not hard to assume that our bodies are far more familiar with that which comes from the earth rather than substances produced in a pharmaceutical plant. Dr James Liddell is not saying that pharmaceutical medicines do not work – but they do have side effects, and very often while sorting out one problem, they create another. You CAN live a quality life! It is not necessary to feel that you just exist. Good health and a great life are within your grasp. Where does hypnotherapy fit in holistic healthcare?